I recently bought a Nook. Originally I did not expect much, and consider only to read ebooks in .epub format. To my surprise, it also reads PDF. It displays PDF in a different way than what people imagine - it retrieves the text and graph, and reflows the paragraphs. I am impressed. It has some flaws, especially in dealing with tables, and program code, but good enough for me to read PDFs with heavy text. 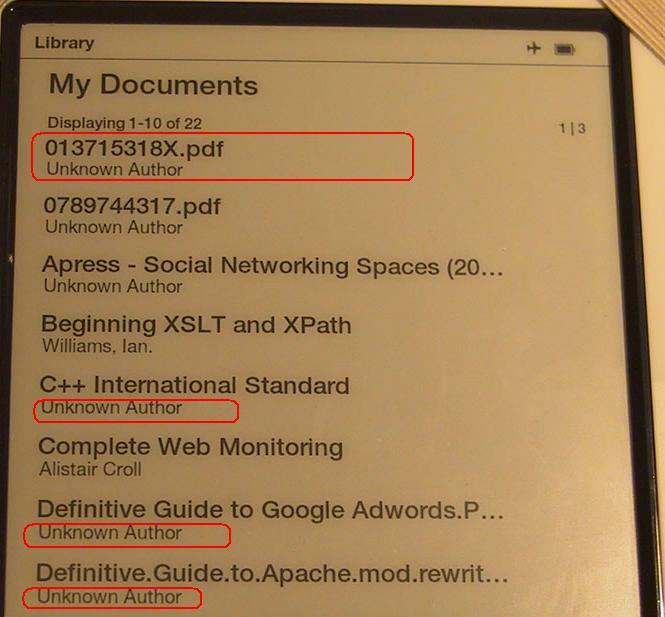 After I loaded several PDF files into Nook, I found that some books are shown “Unknown Author” and strange titles in “My Documents” directory, which lists all ebooks. 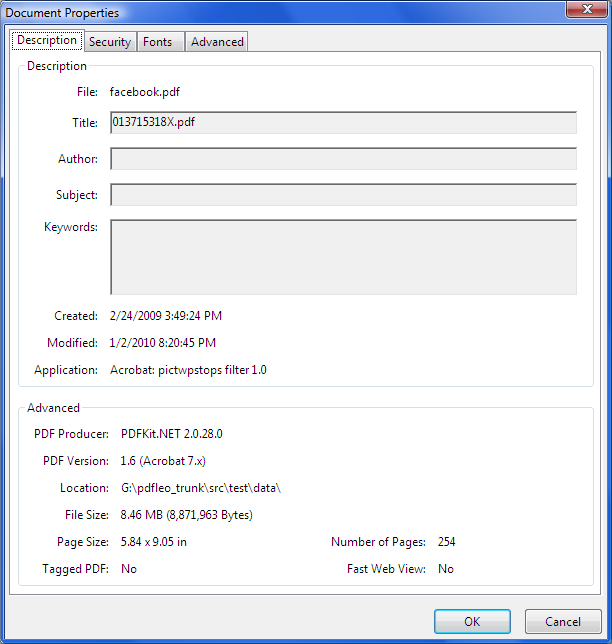 The title and author information are taken from the PDF metadata, and obviously the software some publishers used did not set them properly. For example, the book “the Facebook Era” written by Clara Shih, shows 013715318X.pdf as title and Unknown Author as Author. After pinpointing the problem, now it comes to fix. We need to set metadata to the PDF file so that the title and author display correctly in Nook (or Kindle, SONY reader etc.). Fortunately, PDFLeo is capable of modifying metdata with –info-dict switch. After overwriting the existing file, Nook shows the title and author correctly. Although I can fix one by one, I certainly hope that publishers can get the things correct at the first step. Here is my call - publishers, check your metadata before shipping the PDF version! You can use the PDFLeo tool for that purpose.